The Israel Chamber of Commerce of the Philippines (ICCP) and the Israeli Embassy have promised to work closely with the Tourism Congress of the Philippines (TCP) in promoting tourism in both countries. Travel agencies and tour operators in the Philippines came together last September 19, 2016 to have an audience with Israeli Ambassador to the Philippines HE Effie Ben Matityau and officials of ICCP and TCP. 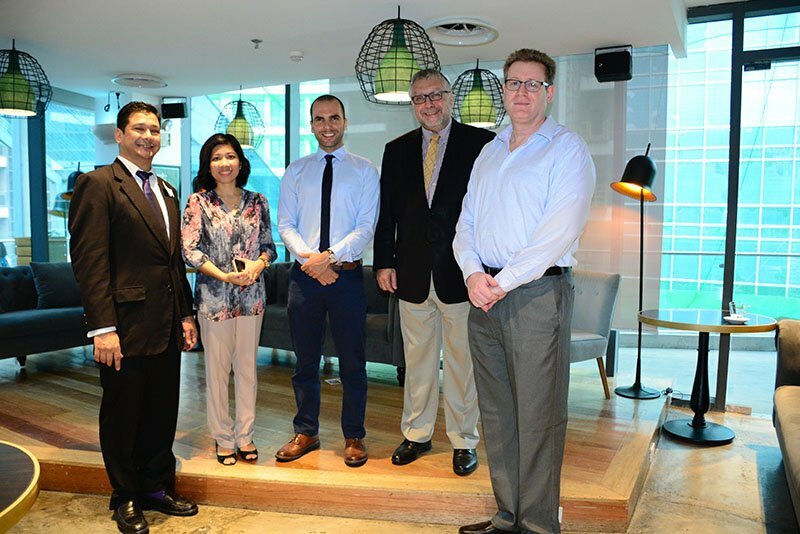 The Tourism Networking Forum, held at Chaplin at Century City Mall, had a lively discussion aboutIsrael and the Philippines’ tourism situation and what they are willing to do to promote growth in the industry. ICCP President ItamarGerosaid thataddressing both countries’ tourism concerns is definitely a priority of the Chamber over the long term. One of the pressing concerns was the lack of direct flights between Israel and the Philippines. TCP Executive Vice President Aileen Clemente agreed that a boost in tourist arrivals depends largely on improving accessibility and transportation. “Outside of direct flights to Manila, we know that the Philippines is the country in Southeast Asia that has largely remained an unknown commodity as a tourism destination even as Israelis have been known to travel a lot to other parts of the region,” Mr. Geroadded. Ms. Clemente noted that there has been an increase in Israeli travelers in the country for research and technical tours. On the other hand, many Filipinos go on religious pilgrimages to Israel. “Outside of the religious pilgrimages, Israel is also a thriving scene for events and conferences. Despite being a small country, they are also very much modern and have all the amenities of a first world country,” she said. For their part, travel agencies raised their concerns about border issues, the lack of enough accommodation near pilgrimage sites, and strict and repetitive immigration checks. Mr. Gero and Ms. Clemente said they will facilitate talks with their respective governments to ensure tourism growth in the two nations, including possible flight additions. “We want to be the facilitator. Together with the Israeli Embassy, we want to resolve issues related to tourism,” Mr. Gero said. Meanwhile, Ambassador Matityau said the embassy will be working closely with Israel’s Ministry of Tourism to provide incentives for Philippine travel agencies that are promoting Israel in their tours.